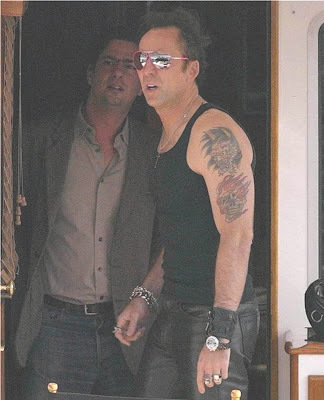 Nicolas Cage is a brilliantly captivating American actor, known for his leading role in a slew of blockbuster movies including Leaving Las Vegas and National Treasure. 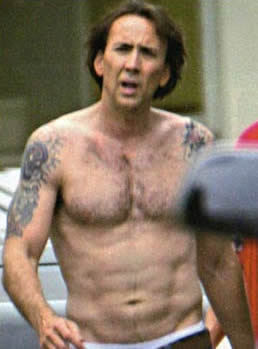 Nicolas Cage has been spotted with several tattoos, many of which are presumed to be fake designs for movie roles. He is suspected of only having one real tattoo, which is of a monitor lizard wearing a top hat, located on his upper back. 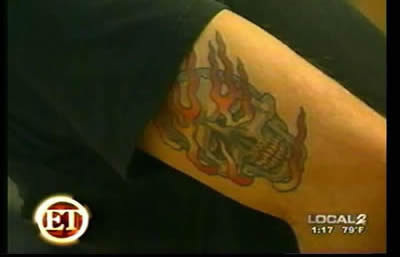 Some of his other tattoos include, a demon and flaming skull on his left shoulder and bicep, plus woody woodpecker on his right bicep. 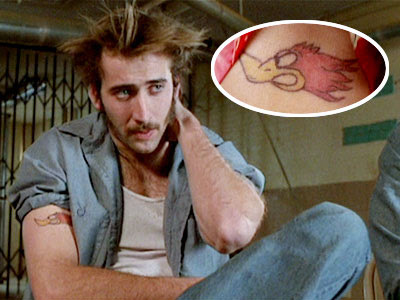 Enjoy this pictures of Nicolas Cage and his tattoo designs.